You know what’s funny about stuff you post on the internet? It’s public, and that means people can see it. This includes those you would rather not see it. For example, if you are a disability claimant, you may want to forego that chance to post a video on Youtube of yourself half-naked, covered in tin foil, breakdancing to “Magic Carpet Ride.” Once somebody sees it, you could have a problem with your total disability claim. This is also very important for people who are making a personal injury claim. Nowadays just about everybody has some form of social media account, and just about all of them give the user the ability to post pictures or video. 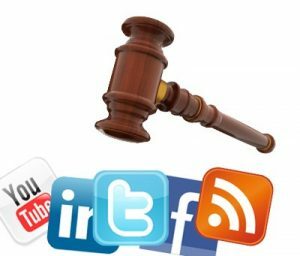 As a personal injury lawyer, increasingly I am seeing defense attorneys checking my clients out on the web, including social media accounts. Defense attorneys also seek access to these accounts in discovery. I always object to producing social media login information, and so far I have not yet had anyone take the issue before a judge. Even posts without pictures that describe what you are doing or how you are feeling can be easily taken out of context. But I do advise all of my clients that they should stay off social media entirely while they have a pending claim. If that’s not possible, they should careful to never post anything that is even arguably inconsistent with the claim they are making- even to the extent of not posting a picture of yourself at a wedding, or outdoors smiling. It is very easy for that to be taken out of context. For many in my generation, when we hear the phrase “private investigator”, Tom Selleck playing Magnum, P.I. is what springs to mind. Or Jim Rockford when I really get honest about my age. But in the real-world practice of law, there are certain times when a good private investigator can be invaluable, even if he isn’t a Ferrari driving ex-Navy SEAL. One example is locating difficult to find witnesses. A few years ago we had a red light – green light case in Baltimore City where our client had a permanent crush injury to her ankle. The case was vigorously contested on liability, and the only locatable witnesses agreed that the defendant had a green light. So I got my investigator working on locating the other witnesses who were listed on the police report. He found one of them- an 11-year-old boy who had seen the accident happen from a friend’s porch that was located a short distance from the light. He confirmed that my client had entered the intersection on a green light. We tried that case. The jury found the boy more credible than the adult witnesses, who had been drinking that afternoon. The jury awarded our client over a million dollars in damages- in a claim we could never have won if we hadn’t found that witness. Defense Medical Exams Outside The State? I have two cases where the same issue has recently popped up. Each of these cases is pending in a Maryland Circuit Court in what I would call the “D.C. Suburbs.” Specifically, Montgomery County and Frederick County. In each, the defense has selected a doctor or doctors to examine my clients. This is normal in a personal injury case. Plaintiff puts his or her physical condition at issue by making a claim for damages for a bodily injury. I don’t have a problem with the defense wanting an examination of my clients, in and of itself. I agree that under Md. Rule 2-423, a court would likely find “good cause” to order an examination if I did not consent. One thing we are seeing defense attorneys do more and more is using a Md. Rule 2-422 Request for Production to try to get plaintiffs to sign authorization forms permitting the defense to access medical and other information without a subpoena. For them, it’s a more efficient (some might say lazy) way to obtain the same material they could get by serving a subpoena on the person who has whatever records they want. For plaintiffs, it’s allowing the defense free license to root through anything they want without worrying about the protections afforded plaintiffs under the Maryland Rules and the Health-General Code. Because we see this so often, I imagine there must be personal injury lawyers out there who allow their clients to sign them. We have too, on occasion. You want to be reasonable. There are circumstances where there is wisdom in having the client to sign a defense authorization. In some cases we don’t have a choice. In first-party claims against an insurance carrier for UM/UIM benefits, for example, the carrier often arguably has a contractual right to obtain an authorization written into the policy. Or if the records being sought are maintained out of state (and therefore outside the subpoena power of a Maryland court) we will often agree to an authorization, as long as it includes appropriate limitations that we have approved in advance, like excluding records about mental health, substance abuse, or STD/HIV/AIDS treatment. If they don’t agree to our requested conditions, they are welcome to get an out-of-state subpoena issued the hard way. It makes no sense to make opposing counsel’s life difficult just for the heck of it. But that is not what we are doing here. We cannot just give away our clients’ privacy protections under the law for no good reason, and that is what I would be doing by allowing my clients to sign these broadly-drafted defense authorizations. The most time-consuming part of getting any case ready for trial is discovery. This is the process of the two sides learning (discovering, get it?) information about each other’s cases before trial. This is what the lawyers and clients spend their time doing for most of the year between when the case is filed and the trial. Discovery happens two ways- by exchanging written material, and in person. In person discovery is usually in the form of a deposition, where witness testimony is taken under oath and transcribed for use later on. That’s not what this blog post is about. I am here to talk about written discovery, or more accurately, the often ridiculous objections I see used in an effort to avoid answering it. The two primary forms of written discovery are interrogatories and a request for production. 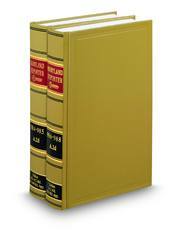 Interrogatories are written questions to the other side that must be answered under oath. A request for production is kind of the same, except it is a set of written requests that the other side produces documents or other tangible things relevant to the case. There has been some controversy recently in the community of Maryland lawyers who handle personal injury and worker’s compensation claims when it comes to finding an expert who can testify to the plaintiff’s injuries in car accident cases. Sometimes, you have a doctor, often the treating doctor, who was at one time faced disciplinary charges for something or another. Why are we dealing with a doctor with a history of problems in the first place? Good question. Sometimes the charges are not serious or not related to the quality of care the doctor is providing. Sometimes the doctor is a treating doctor you did not choose to have as your witness. In other cases, you may not have knowledge of the disciplinary action against the doctor. In the real world, it can sometimes be difficult to locate medical providers who will treat patients who were injured in accidents or on the job. If the patient was injured in an accident, the physician may have to wait for payment until the personal injury case resolves. In the case of a work-related injury, the physician must by law accept payment according to the fee schedule set by the Maryland Worker’s Compensation Commission, which is usually far less than the rates paid by private insurers. Many medical providers aren’t willing to accept these conditions, so the few who will are an invaluable resource for Maryland personal injury lawyers and our clients. One of the local medical practices willing to treat these sorts of patients has become involved in proceedings before the Maryland Board of Physicians. Some of their doctors have pending disciplinary charges, and some others have already consented to orders resolving the charges. This has attracted the attention of those in the legal community working on those sorts of cases and has been commented on by industry bloggers. I kind of view this as a tempest in a teapot. The charges are not the sort where I would expect any of the physicians involved to lose their licenses or have them suspended. But it absolutely is a thing. If it might bother a single juror, it is a thing. 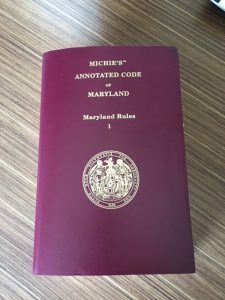 Anyway, the key point is that in Maryland, the existence of the charges and/or disciplinary orders before the Maryland Board of Physicians is not discoverable or admissible in any civil or criminal action in the State of Maryland. Too many unsuspecting car accident lawyers in Maryland do not know this and their clients get burned. (2) Any order passed by the Board is not admissible in evidence. So if you find that you have a treating physician or an expert witness who has been involved in proceedings before the Maryland Board of Physicians, relax. Those proceedings are never going to come into evidence, and the jury will never hear about them. Provided, of course, that you are prepared with a motion in limine citing the law on the issue. Not for nothing, the purpose of this statute is not to help personal injury victims but to protect doctors we are suing for medical malpractice. But this by-product sometimes helps personal injury lawyers. Of course, the question you have to ask yourself is whether you want a doctor who has been disciplined by the Maryland Board of Physicians. There was a case a few years ago where some Maryland doctors in a group who do a lot of personal injury and workers’ compensation cases were disciplined for something that was said to me — according to the gossip mill of unbiased observers who handle these cases — trumped up charges. I have no clue one way or the other. But you want to think twice before willingly picking a doctor who has had disciplinary problems because where there is smoke there is quite often fire. Regular readers of this blog (Hi, Mom!) will probably remember that cross-examining defense medical experts on the issue of financial interest bias is a topic that I have discussed several times. That is because our lawyers believe that when an expert has a financial interest bias, that it is of vital importance to get that information before the jury, so they can fairly evaluate the wtiness’ testimony. In Maryland, the most useful authority on the issue is contained in two appellate opinions: Wrobleski v. DeLara, 353 Md. 509, 727 A.2d 930 (1999), and Falik v. Hornage, 413 Md. 163, 991 A.2d 1234 (2010). The second one is a Miller & Zois case. Actually, two cases combined for appeal. My firm handled both of these cases. So we feel that our law firm is out on the leading edge in this issue. One topic that often comes up in personal injury litigation is the issue of personal injury lawyers referring clients to particular medical providers. Defense lawyers always want to delve into this, on the theory that there is some wink and nod quid pro quo between the lawyer and the doctor that the referral will result in favorable testimony. I don’t know that this is necessarily true. There are lots of good reasons referrals like this are made: many clients do not have health insurance to pay for treatment, Maryland PIP is only $2500 (and is often used up to replace lost wages), and many treatment providers will not accept patients who were involved in accidents. Uninsured/undersinsured motorist cases are probably the most complicated kind of car accident cases you will see. These cases are called “hybrid” actions because they combine contract and tort law. You have the underlying tort case against the negligent driver, along with a contract cause of action against the UM carrrier. You will have the normal concerns about proving liability and damages that you would have in any car accident case. In addition, you must be careful to prove the contract elements that you need to show entitlement to UM benefits. These are things like the existence and extent of the tortfeasor’s liability coverage, the existence and amount of the UM coverage, and the plainitff’s entitlement to benefits. Obviously, you would send interrogatories to seek to establish one or more of the contractual prerequisites.But another good way to get the needed proof is to use an under-utilized but very powerful discovery device called a Request for Admission. These are governed by Md. Rule 2-424. Basically, they are a list of facts, the existence of which the defendant is asked to either admit or deny. If admitted, the admission is considered conclusive proof of the existence of the admitted fact for the purposes of the case. They are expecially good for proving the exitence of simple “paper” facts like the ones you encounter in a UM case. A few weeks ago, I wrote about how to handle certain kinds of obstructive behavior from opposing counsel at depositions. Here is a great blog post by Jay Shepherd over at Above The Law on dealing with opposing counsel who do not play well with others. See, there’s at least one schadenfreude- free reason for us scummy, small-firm, personal injury types to read ATL! According to Jay (and I think he’s right), the key is not letting them get to you. Because getting to you is the only way they win. Lawyers like this are like children who throw tantrums. If the tantrum doesn’t get a reaction, there is no reward for the tantrum-thrower. Consequently, the tantrums become fewer. Law blogs are full of “how to’s” on deposition techniques. Do a quick search and you will find tons of hints of all kinds. You can find checklists, tips for client preparation or articles on effectively using exhibits. I’ve written some things like that myself. But today I have a quick lesson in what not to do when defending a deposition, and how to handle it when it happens. Q. And are you contending in this lawsuit that Mr. Plaintiff is a faker?